Experts are scratching their heads over what has been causing a series of booms worldwide that have startled people in the area. A series of strange booms have been reported at different places around the world, and experts aren’t sure what to make of them. They’ve been recorded in the Middle East, Australia, and on the east coast of the United States, to name a few locations. Experts are scratching their heads, offering up theories like supersonic aircraft or meteors exploding in the atmosphere. The most recent boom had been heard in Alabama and Idaho in the past week. “Loud boom heard: we do not see anything indicating large fire/smoke on radar or satellite; nothing on USGS indicating an earthquake,” said the Birmingham National Weather Service in a tweet. The U.S. Geological Survey says they’re not coming from earthquakes. A total of 64 booms have been reported worldwide in 2017 alone, according to reports. The most bizarre and recent one has been called the “Bama Boom” and rattled homes across ALabama in the past week. People even call 911 to report the incident, but no one knows where it came from. “Has anyone heard a loud explosion in west Blount County? We’ve received several calls between Spunky Hollow Rd and Cannons Crossing. Law Enforcement is currently patrolling the area,” Blount County posted on its Twitter account. The National Weather Service in Birmingham also posted a note that the boom wasn’t caused by weather or an earthquake, and they had no idea what happened. 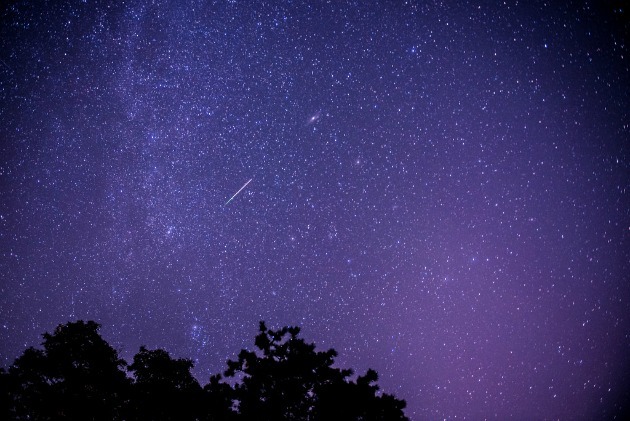 Bill Cooke, head of NASA’s Meteoroid Environment Office at the Marshall Space Flight Center, suggested that it could have been from a meteor that exploded in the atmosphere, and he noted that some eyewitnesses saw a trail of vapor.